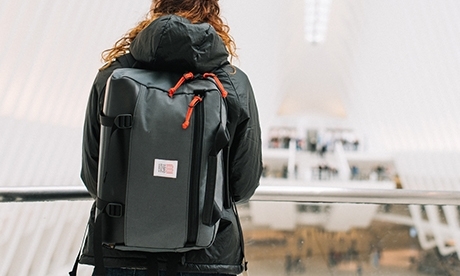 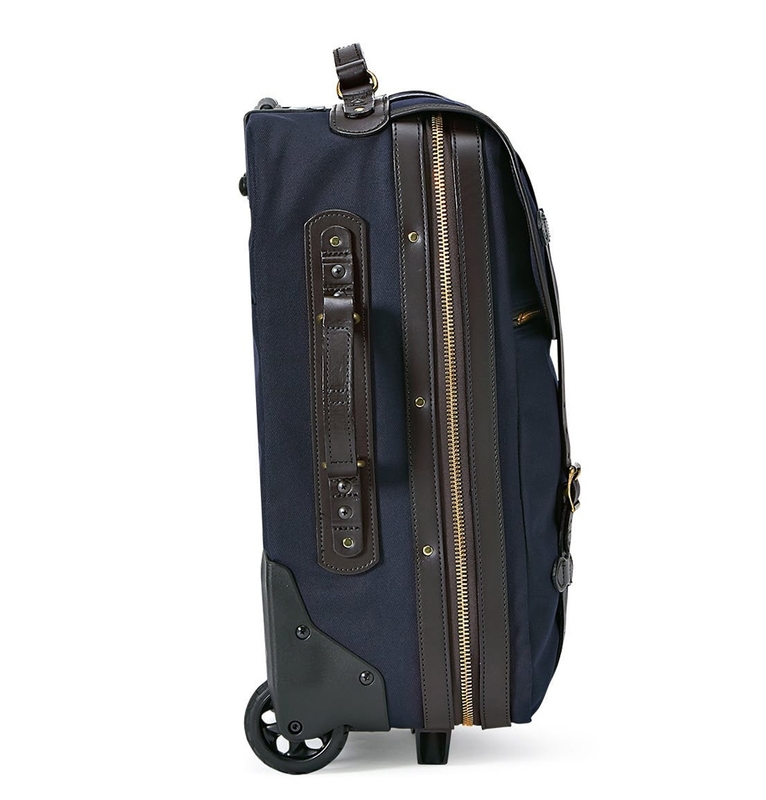 This rolling carry-on bag has a 20"-long retractable handle and molded feet to keep it upright. 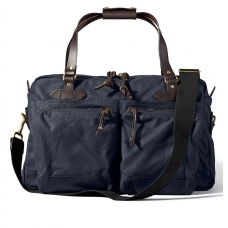 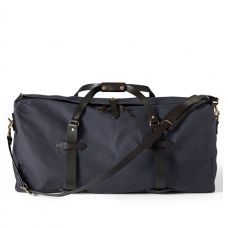 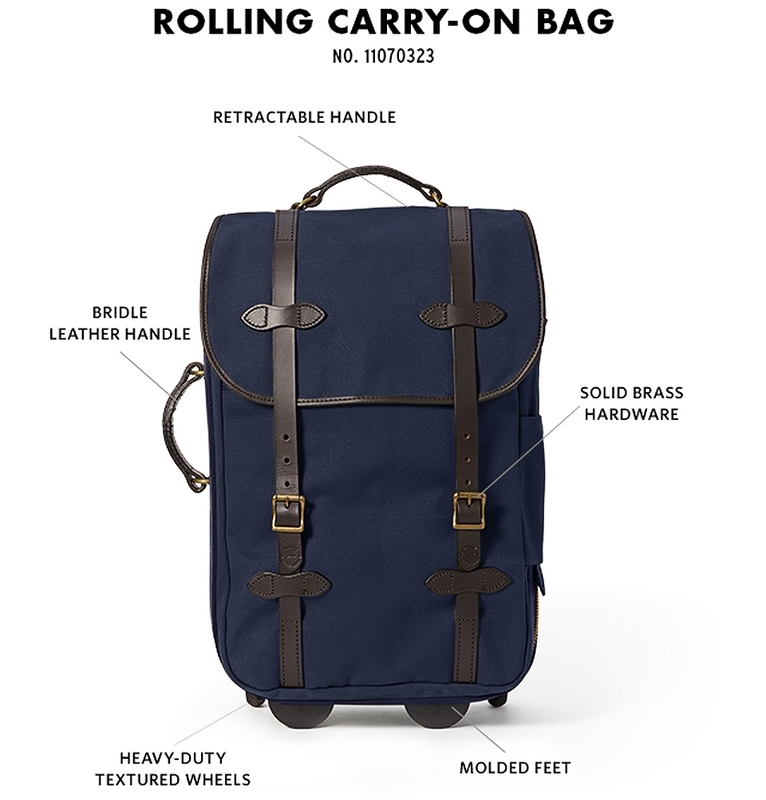 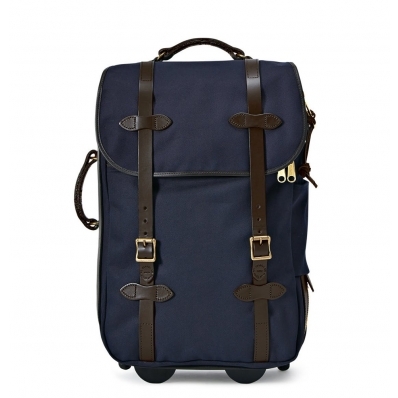 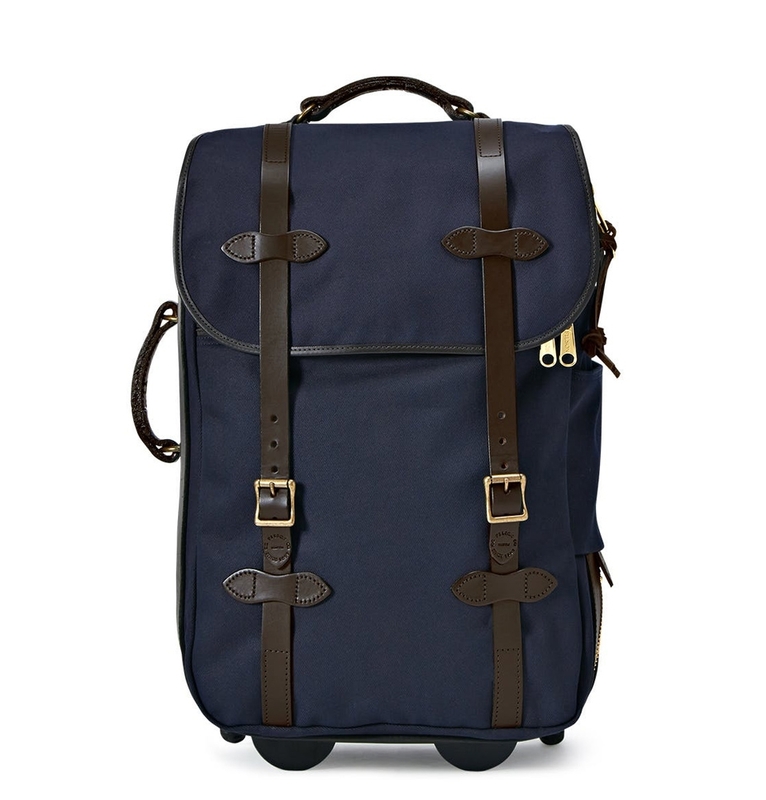 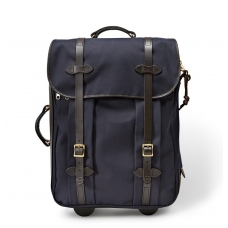 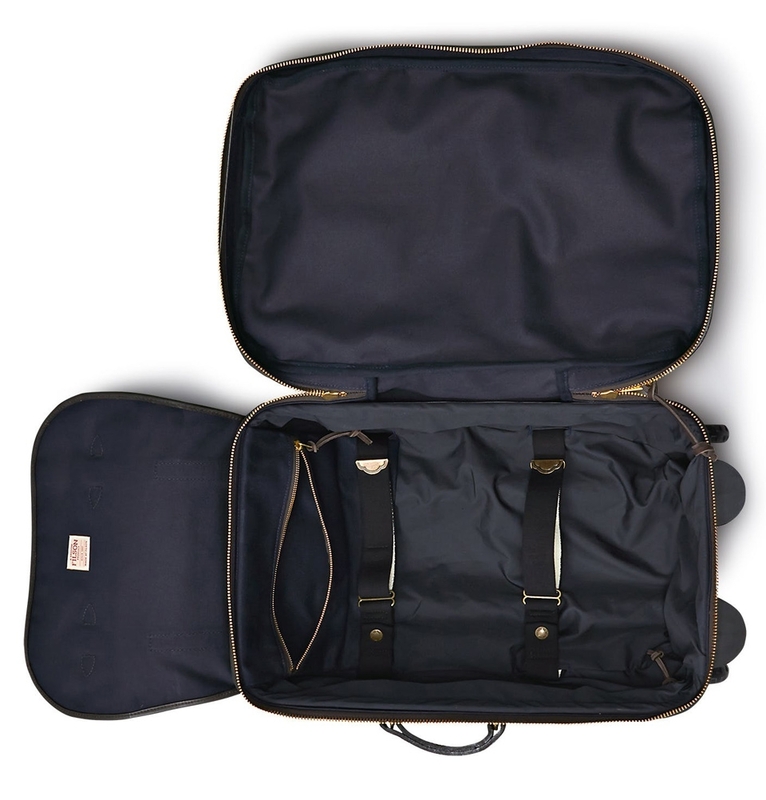 FILSON RUGGED TWILL ROLLING CARRY-ON BAG NAVY, created for travel in style. 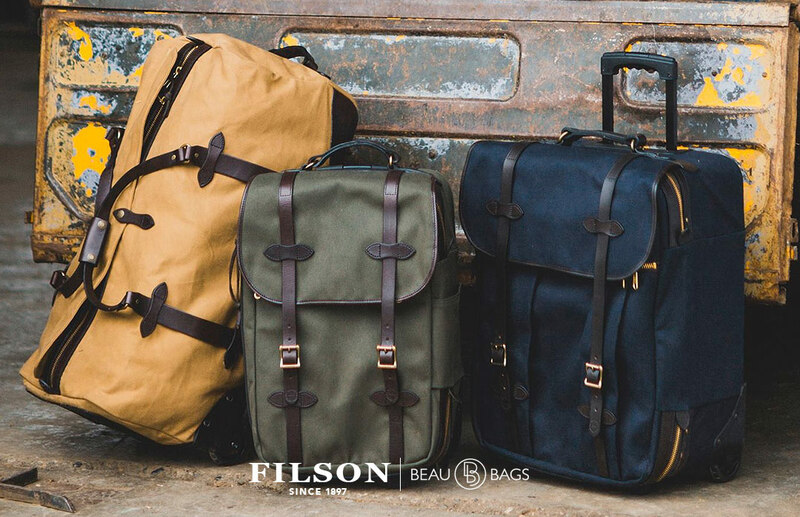 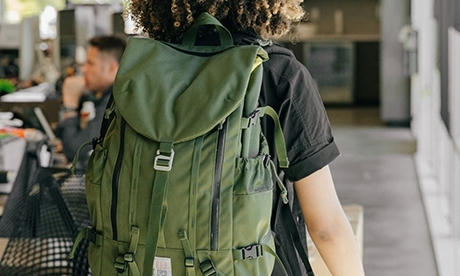 This rugged Filson Rugged Twill Rolling Carry-On Bag is built like a rolling suitcase, with a soft cotton lining and interior straps to keep gear in place. 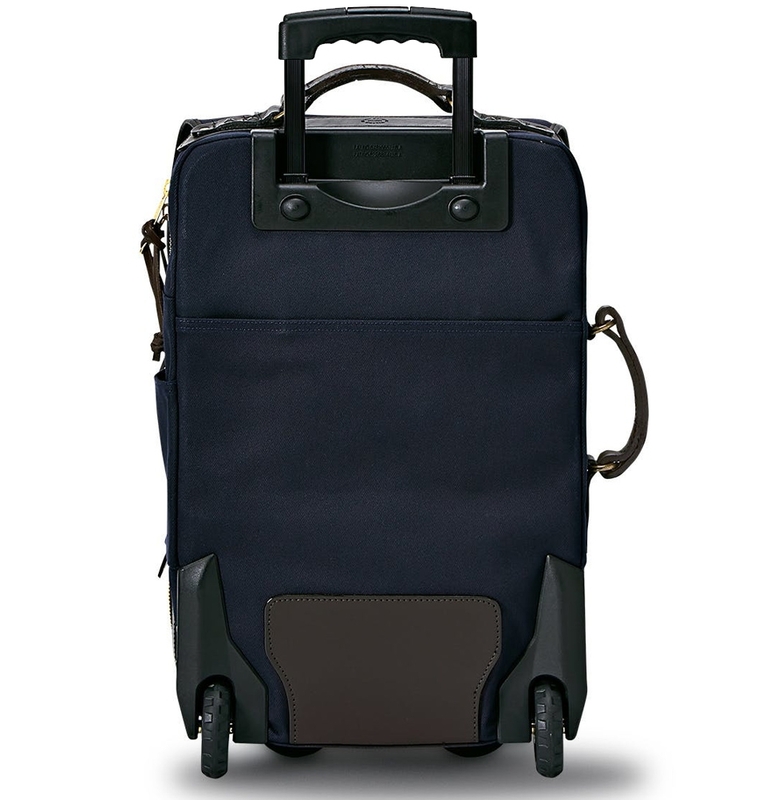 It also features a 20" retractable handle, molded feet to keep the bag upright and heavy-duty wheels to handle a variety of terrain. 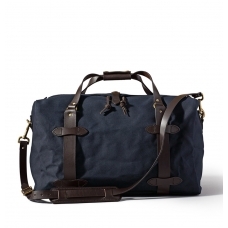 Includes iconic Filson Bridle Leather body tabs and handles on two sides of the bag.